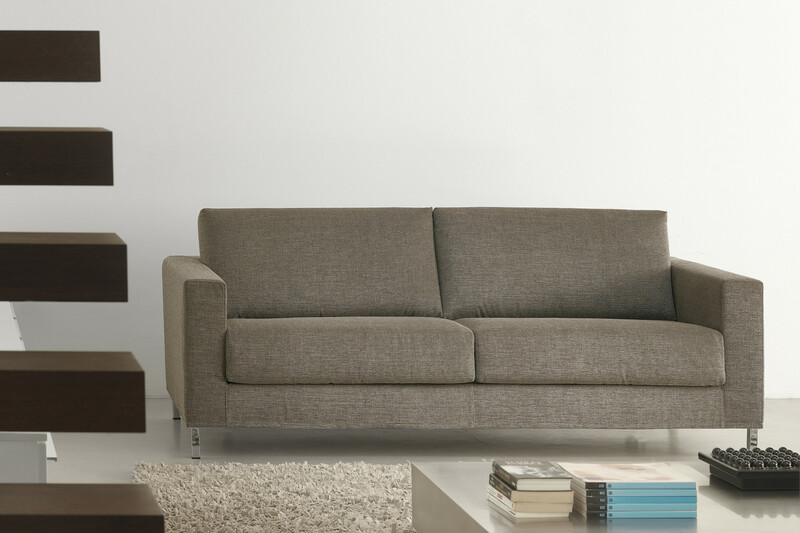 James is a modern linear sofa with high feet available in 2 or 3-seater models. 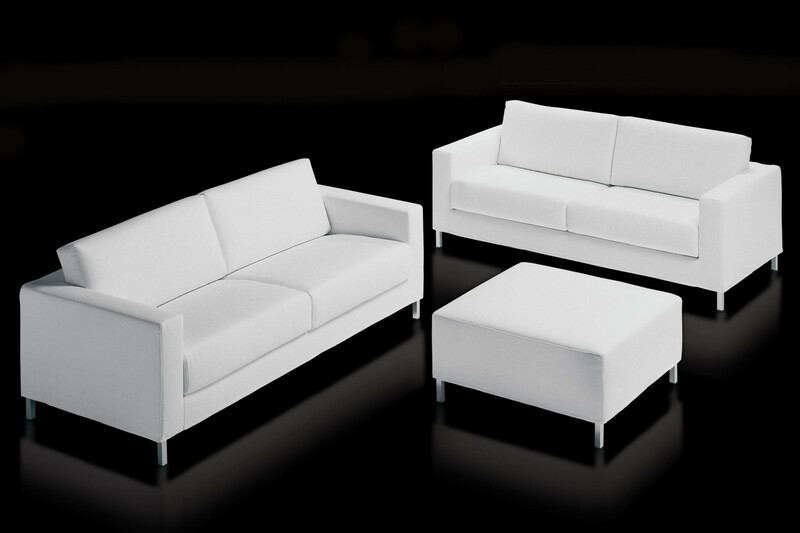 Squared lines and removable cover in fabric, leather or eco-leather. 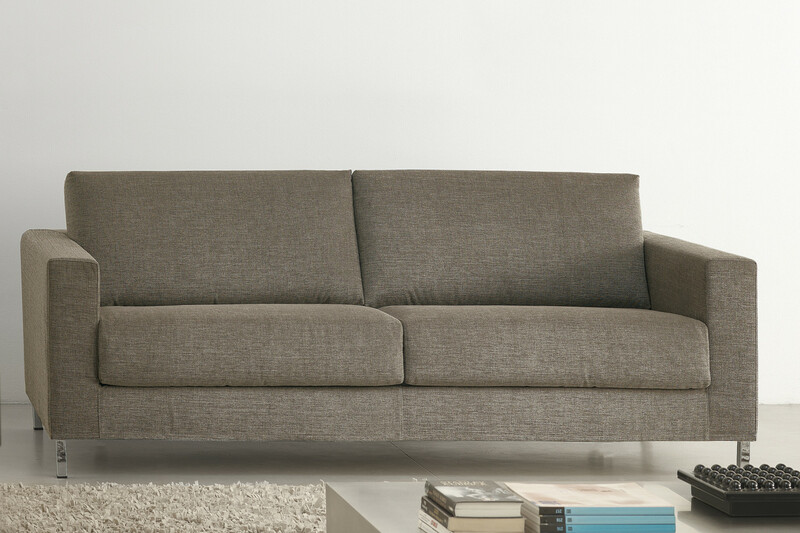 James is a linear sofa with high feet that lighten the look of the whole structure and make it easier to clean the floor. Its essential and squared lines are softened by two padded backrest cushions, and its simple yet trendy look is enhanced by the wide range of colours available for the cover, that is completely removable. 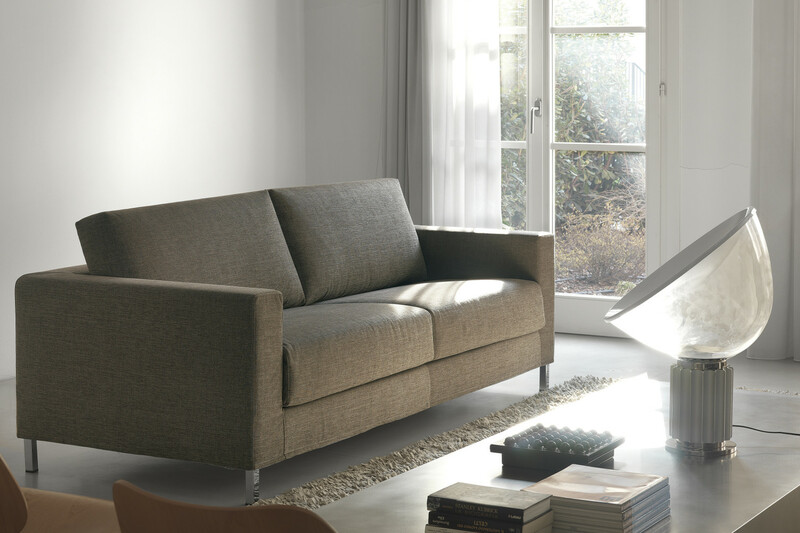 James can be chosen in linear 2 or 3-seater versions and completed with a comfortable headrest, a hassock and an armchair from the same collection. James sofa is available in fabric, leather or eco-leather in a wide range of colours displayed in the samples page. Removable cover. The feet are cm 12 high and are available in embossed silver painted metal, in natural, cherry or wengé painted metal, or in chromed metal. Mechanism or structure: high resistance furniture tube, oven coated with epoxy powders. Structure: solid fir wood, poplar plywood. Feet: oven coated metal with epoxy powders in embossed silver colour. Wooden feet: 30x30x2 mm aluminium tube veneered with wood. Seat: 35 kg/m³ expanded polyurethane, 300 gr/m² thermo-bonded needled fibre covered with cotton cloth and mm 2,5 3-layered interliner. Backrest: 25 + 21 Kg/m³ expanded polyurethane; 400 gr/m² needled bonded fibre; covered with cotton cloth + mm 2,5 3-layered interliner. 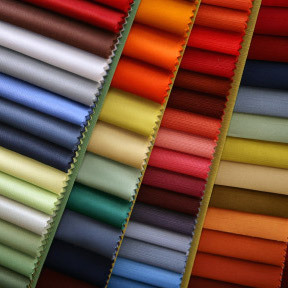 Structure: 30 Kg/m³ expanded polyurethane; 100 gr/m² resin fibre combined with interliner. Sitting on the armrests is not recommended.